It's the FIRST ISSUE of “SEPARATION ANXIETY,” a RAUCOUS NEW STORY ARC and ALL-NEW JUMPING-ON POINT for the UNPREDICTABLE ONGOING SERIES from acclaimed writer Eliot Rahal (The Paybacks) and Eisner Award-nominated artist Joe Eisma (Morning Glories, Archie)! On July 18th, Quantum and Woody are about to divide their not-so-dynamic duo into a fractured pair of solo acts! 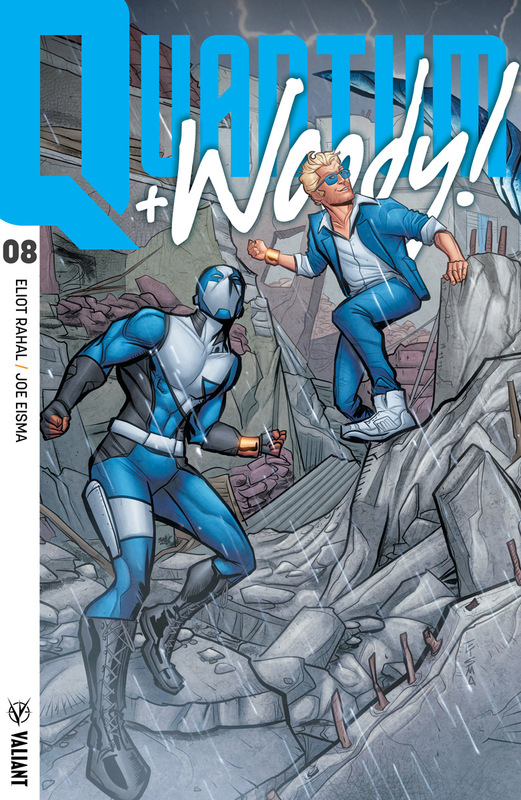 Quantum and Woody just barely escaped from a surreal atomic realm...and, unfortunately, they've brought some pieces of it back with them! As dangerous new threats plunge their city even deeper into chaos, they'll soon realize that they have bigger problems and bigger grudges than ever before – now if the brothers are anywhere near one another, their powers stop working! 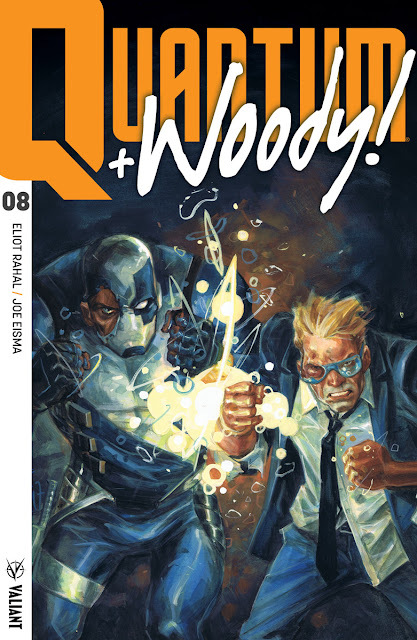 On July 18th, the world's worst superhero team is going to have to go it alone as "SEPARATION ANXIETY" presents a super-powered stress test, courtesy of rising star Eliot Rahal and Eisner Award-nominated artist Joe Eisma, in QUANTUM AND WOODY! 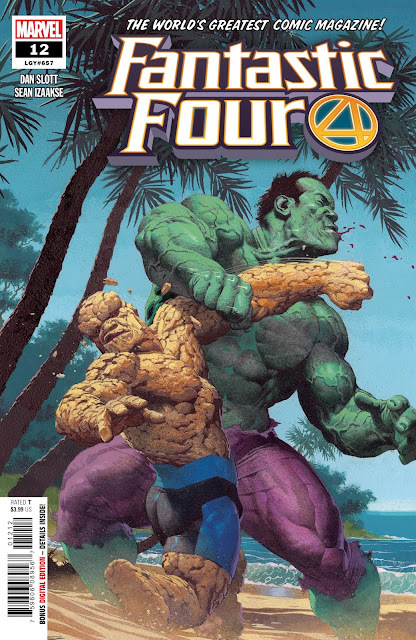 (2017) #8 – featuring covers by Tom Fowler (QUANTUM AND WOODY), Geoff Shaw (Thanos), Joe Eisma (FAITH), and Jen Bartel (Jem & the Holograms!). 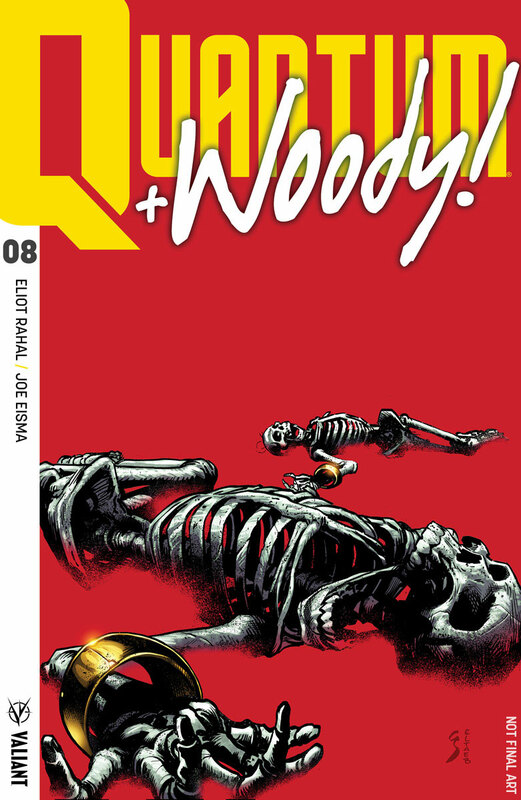 But first: Red-hot writer Eliot Rahal (BLOODSHOT’S DAY OFF, Cult Classic) and fan-favorite artist Francis Portela (FAITH) take the reins in QUANTUM AND WOODY #6! On May 30th, the Eric and Woody Henderson face their toughest challenge yet – surviving the biggest catastrophe the Valiant Universe has ever witnessed! 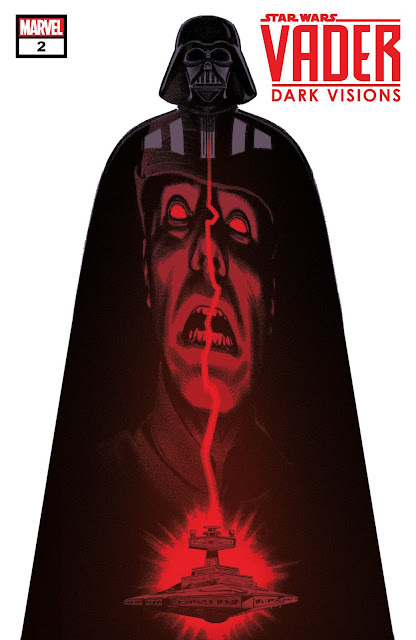 In the ultimate display of power, Livewire has plunged the United States into darkness. From coast to coast, once-vital technology has now been rendered worthless… No cars… No phones… No quantum control bands?!? 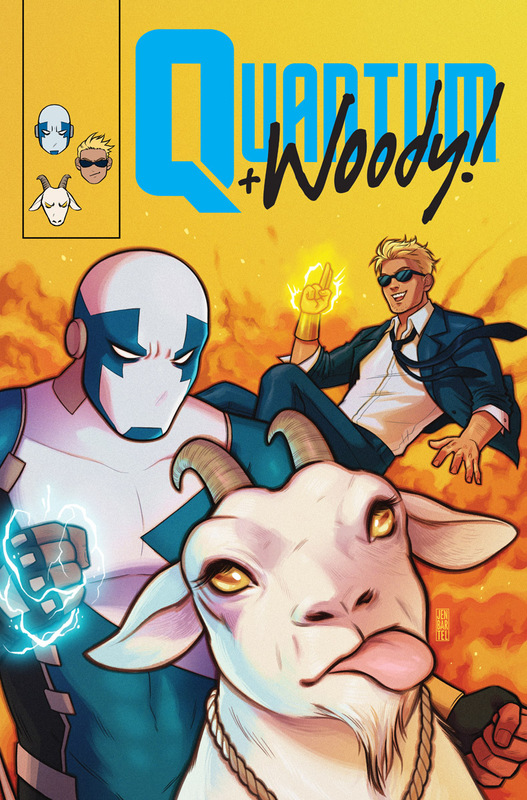 Without the high-tech gauntlets that bind them together, Quantum and Woody have 24 hours before they disintegrate into nothingness… Now, stripped of their powers and unable to “klang,” can the pair become the heroes they’ve always aspired to be and secure the streets of the nation’s capital…before time runs out?